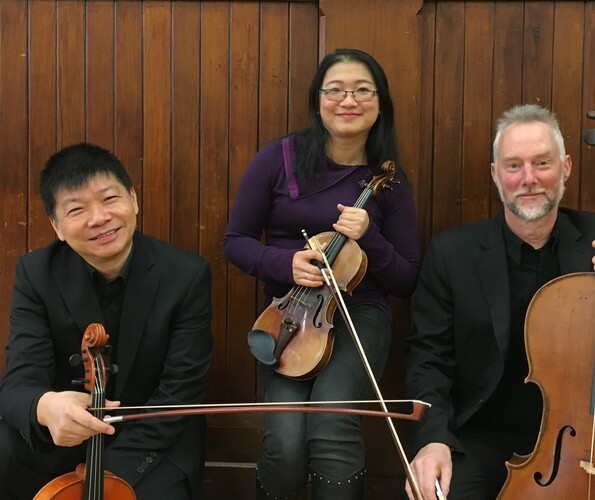 Rarely heard master-works for string trio by Beethoven, Sibelius and Mozart will be performed by the Aroha Ensemble at the beautiful seaside Memorial Hall in Paekakariki on Sunday 18 June. The concert in Paekakariki is part of a twelve Centre New Zealand tour taking the Aroha Ensemble from Invercargill to Kerikeri. Mulled Wine Concerts organiser Mary Gow says "Kapiti is lucky indeed to catch these very busy and prominent musicians on their tour and we are very proud to present them in Paekakariki"
Info: www.mulledwineconcerts.com or like us on Facebook. Magpie Paremata, 99 Mana Esplanade; RG's Organic Veges, Paekakariki; Lush Design Gallery, Raumati Beach; Moby Dickens, Paraparaumu Beach; La Chic Hair Designers, Kapiti Lights; Lovely Living, Waikanae; Door sales.